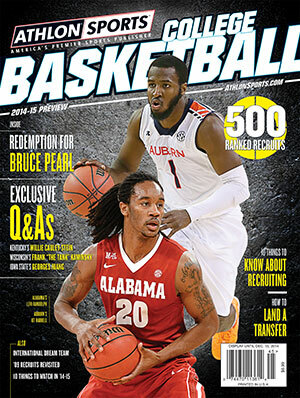 Can Bruce Pearl Revive Auburn Basketball? Years before Bruce Pearl took the Auburn job, the coach had already secured the approval of the most important face of Tigers basketball. Pearl was midway through his tenure at Tennessee, and he had the Volunteers humming. The program's return to relevance in the SEC and the national stage was enough to draw the attention of Charles Barkley. The Hall of Famer and Auburn legend reached out to Pearl and left the coach a voicemail. Pearl took this as the ultimate compliment. At the time, when he had Tennessee in the same stratosphere as Florida and Kentucky, Pearl had no way of knowing that this was a sign of his future in coaching. Still, he followed Barkley’s request and went about his day. Pearl and Barkley have crossed paths more often in recent months, since Pearl began a twofold resurrection process — that of his coaching career and that of Barkley’s alma mater. Three years after he was fired at Tennessee and slapped with an NCAA penalty that essentially made him unhirable in the college ranks, Pearl has returned to the SEC, where he’ll try to accomplish what no one has been able to do for more than a decade. He’s looking to make Auburn relevant in basketball, not just in wins and losses but also to the school’s fan base. “If anyone can do it, he has what it takes to do it,” says Tom Davis, the former Iowa coach who was the first to give Pearl a job in basketball at Boston College. Indeed, Auburn has good reason to believe it scored a coup by hiring a coach with Pearl’s track record. Tennessee reached the NCAA Tournament all six seasons under Pearl, three times won at least a share of the SEC title, and advanced to the Elite Eight in 2010. He had opportunities to make the jump to higher-profile programs — Indiana was reportedly interested before hiring Kelvin Sampson — but he found a home in Knoxville. He had no plans to leave Tennessee. What happened next is well documented. A cookout at his home with high school junior recruits led to a lie to the NCAA, which eventually led to his dismissal at Tennessee. Slapped with a three-year show-cause — which among other things bans a coach from recruiting — Pearl was basically unemployable by any other college. Pearl embarked on a broadcasting career at ESPN and SiriusXM and served as a vice president for marketing for a wholesale grocery distribution company in Knoxville. He knew he wanted back on the sidelines but figured his next job would have to wait until the ’15-16 season at the earliest since his show-cause wasn’t scheduled to expire until Aug. 23. What school would hire a coach who couldn’t recruit for the first five months on the job? How about a school that averaged 4.8 SEC wins in the previous five seasons and hadn’t been to the NCAA Tournament since 2003? Auburn athletic director Jay Jacobs fired Tony Barbee, the coach he hired in 2010, hours after the Tigers bowed out of the 2014 SEC Tournament with an 18-point loss to South Carolina. Shortly after, Jacobs began his pursuit of the popular, but potentially toxic, former Tennessee head coach. Jacobs admits he had reservations about Pearl before speaking with former Tennessee athletic director Mike Hamilton among other references. Jacobs then met with Pearl in Bristol, Conn., where Pearl was serving as a college basketball analyst for ESPN. The timing, though, wasn’t perfect. Rather than using energy to fight and appeal the show-cause, Auburn and Pearl devised plans to navigate the sanctions for the first five months of his tenure as required by the show-cause order. When recruits visited Auburn on official or unofficial visits, Pearl left campus or left town altogether to avoid any possibility of violating his show-cause. Instead of meeting with Pearl, recruits met football coach Gus Malzahn in addition to the Tigers’ assistant basketball coaches. When Pearl hit the road for speaking or booster engagements, a compliance officer accompanied him in case a prospect would be present. Although he was barred from any contact with recruits or in-person evaluation or prospects, Pearl was not barred from evaluating prospects on film or keeping in contact with his assistants on the recruiting trail. When his staff was on the road evaluating prospects, Pearl kept in touch every few days for updates. Pearl brought in Tony Jones, who coached with him dating back to his Milwaukee days, and former Auburn great Chuck Person. Jones served his own show-cause for a year before coaching two seasons at Alcoa (Tenn.) High School outside of Knoxville. Pearl’s son, Steven, also was listed as a full-time assistant to help in recruiting before moving into an off-court role after the show-cause expired. In other words, Pearl has filled his staff with people who know him and know the terrain of the SEC. Recruiting limitations, though, didn’t mean Pearl could take the summer off. The NCAA now allows basketball coaches to work with players up to two hours a day and eight hours a week during the summer. Pearl took full advantage of this time. The time away from recruiting also gave Pearl time to do what he does best (aside from coaching) — build enthusiasm for a program. For all of Auburn’s passion for football, Tiger fans have good reason to be apathetic about the basketball product. Auburn has had nine losing seasons in the last 11 years — quite the feat considering how light non-conference schedules can make even a .500 record attainable for a major-conference program. Barbee was not able to capitalize on the opening of a new $92 million arena and was fired after an 18–50 SEC record in four seasons. Attendance dropped nearly seven percent during Barbee’s final season at Auburn, according to AL.com. Auburn’s average home crowd of 5,823 ranked 13th in the SEC and was the worst since Auburn’s new arena opened in 2010. Pearl sets lofty goals. He wants to have more home sellouts than 75 percent of the teams in the SEC. Auburn didn’t sell out a home game all of last year and may not be improved on the court in terms of wins and losses. Pearl returns only two players who averaged more than 20 minutes per game last season. He is filling the gaps with two graduate transfers (guards K.C. Ross-Miller from New Mexico State and Antoine Mason from Niagara) and the top junior college prospect in the country (forward Cinmeon Bowers). The 2015 class, though, is where Pearl will make a major impact. He has four four-star commitments, according to the 247 Composite. The class is ranked 10th nationally and second in the SEC, behind only Texas A&M. Pearl is essentially selling an experience, selling the up-tempo style of play and aggressive defense, selling the future and selling himself until tangible progress can be made. Jacobs has called him a “one-man marketing machine.” Pearl has visited students on campus, visited classrooms, visited dining halls and assisted with fundraisers. That’s what the dean of admissions at Boston College saw when he recommended Pearl to then-coach Tom Davis in the late 1970s for a similar role — drumming up interest in a program. But it’s another trait that may help Pearl rebuild at Auburn. Davis gave Pearl his first full-time coaching job and brought his protege to Iowa as an assistant in the late '80s. After a heated recruiting battle over Deon Thomas, Pearl reported Illinois to the NCAA for violations in 1989. The incident and the stigma of reporting another program likely cost Pearl a shot at more high-profile jobs. He settled for a head-coaching gig at Division II Southern Indiana, where he went 231–46 and won one national title in nine seasons. The reclamation project Pearl is now singularly focused on is the one at Auburn, where he says all the resources are in place for a turnaround. The arena is new. The facilities are on par with other programs in the league. And while the SEC produced three teams in the Sweet 16 in 2014, the league’s pecking order after Kentucky and Florida is wide open.